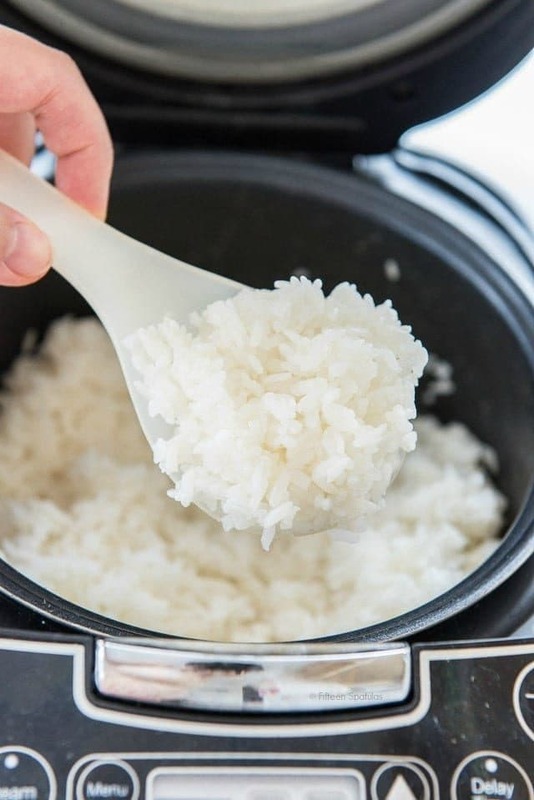 The easiest way to make sushi rice for homemade sushi — in a rice cooker! 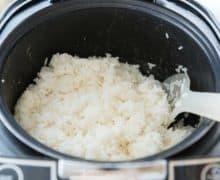 Yesterday I posted my how-to for making homemade sushi, and this post is completely dedicated to making the sushi rice. There is an art to making perfect sushi rice, but I think that’s best left to the sushi chefs who have spent years learning how to make it perfectly. When I make sushi at home, I leave the cooking up to my rice cooker. And as long as you have a somewhat decent rice cooker, the results should definitely be satisfactory! I have this rice cooker, and at $60 I think it’s a very reasonably priced appliance. I use it a ton and I’m impressed with the rice it turns out. To be honest though, I don’t think you even need to spend $60 on a rice cooker to get a decent one, as this one has a lot of extra features that go beyond cooking rice. 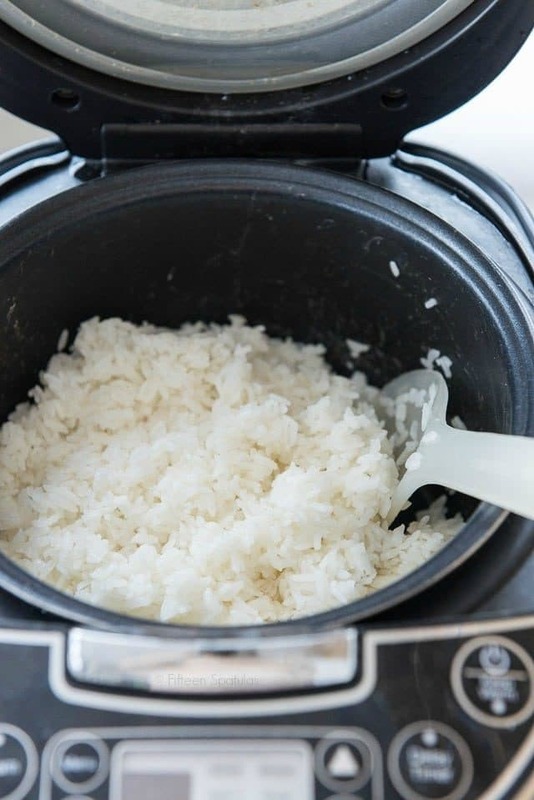 To get started, combine rice and water in the rice cooker. I use Nishiki rice, which is easy to find and regarded as a high-quality rice. My Japanese friends say it’s the best! As far as washing goes, I don’t rinse this particular brand of rice. A lot of people are adamant about this, but the directions for Nishiki instruct you to combine the rice with the water as is. You can wash the rice if you feel more comfortable. 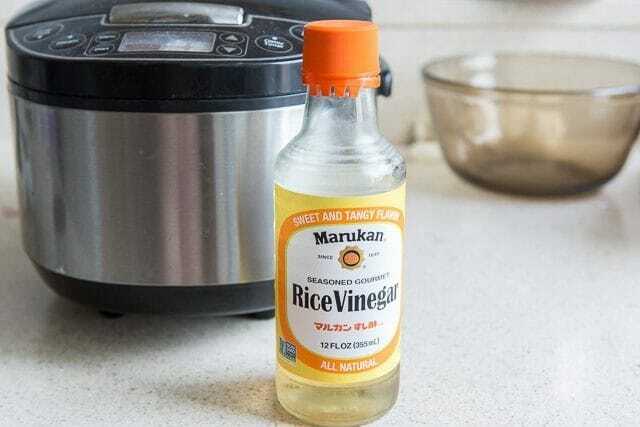 While the rice cooks, all you need to finish it up is some seasoned rice vinegar. 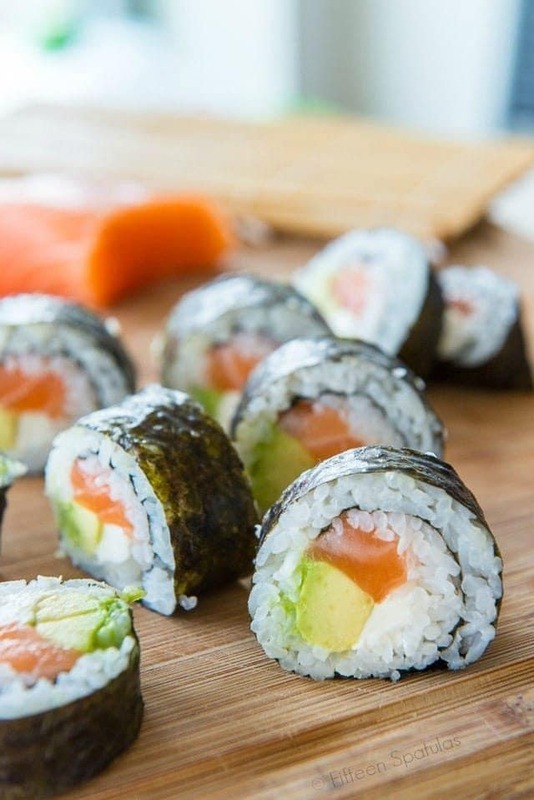 If you google sushi rice, you’ll see that most recipes call for rice vinegar, salt, and sugar, then you dissolve them together and season the rice with it. Then it’s ready to be used for homemade sushi. Enjoy! 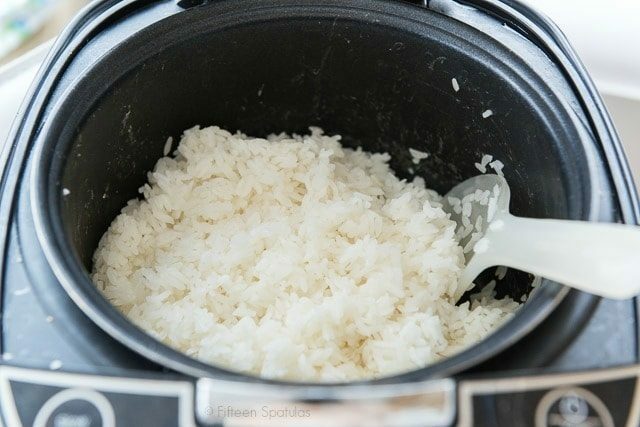 How to make sushi rice in a rice cooker, to use for homemade sushi. 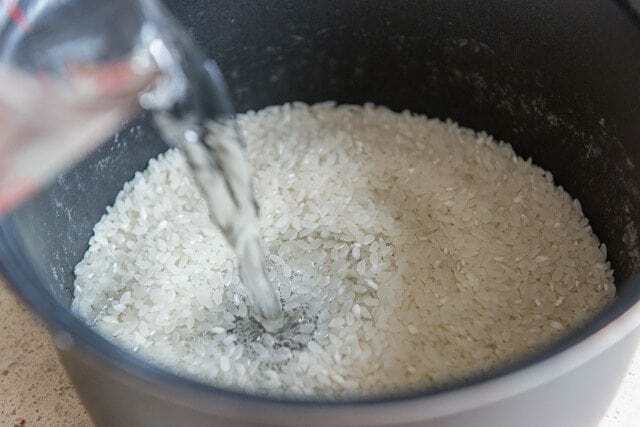 Place the rice and water into a rice cooker. 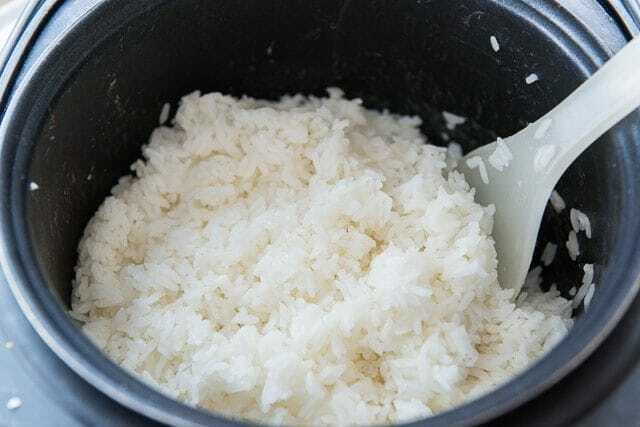 Cook the rice according to the “white rice” setting on the rice cooker. 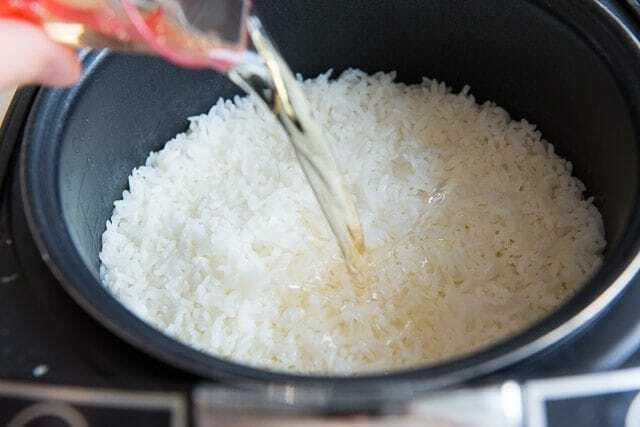 When the rice has finished cooking, evenly pour the seasoned rice vinegar all over the rice. Toss the rice around to further distribute the rice vinegar, taking care to be gentle, and not mash the rice. It is now ready to be used for sushi. 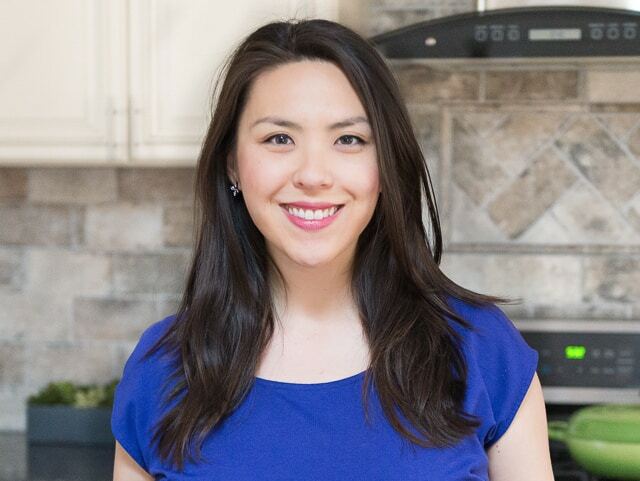 Here’s my post on homemade sushi. I don’t wash the rice before cooking. I know some people are adamant about washing the rice beforehand, but the brand I use specifies to combine the rice with the water as is. You can wash the rice if you prefer. Wow, I love this sushi . Thanks so much for sharing!